“We are excited to move on and explore drug-microbe interactions in complex gut microbial communities, as this will help us understand how individuals sometimes respond differently to the same medication,” says Georg Zeller. Each of us harbours a unique gut microbiome. We all carry different bacterial species – besides several common ones – and on top of that, we carry different individuals of the same species called strains. These strains can have very different functionalities, including the response to drugs. 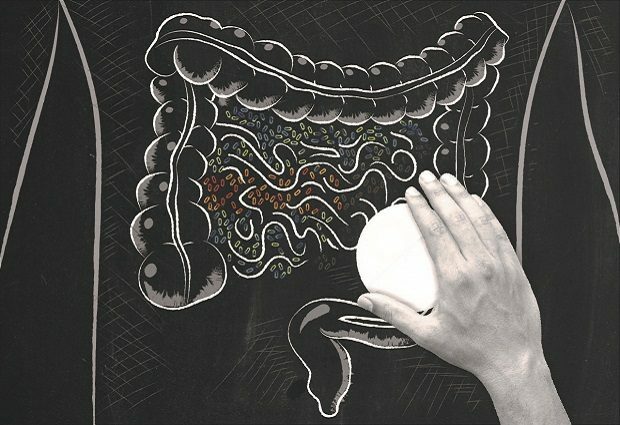 Therefore, many drug-microbe interactions are likely to be individual, opening paths for personalised drug therapies aimed at the individual gut microbiome. Video describing the background, methods, and results of the Nature paper ‘Extensive impact of non-antibiotic drugs on human gut bacteria’. Also read ‘Molecular cuisine for gut bacteria‘, about the related paper ‘Nutritional preferences of human gut bacteria reveal their metabolic idiosyncrasies’ that was published in Nature Microbiology on the same day.